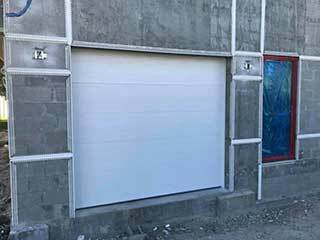 Garage doors are complicated machines, and there’s a lot that can potentially go wrong with them. When a garage door malfunctions, it can be hard to tell what’s causing the problem, much less what to do about it. Not to worry! With over ten years of experience in the field, our team has seen everything. Whatever the problem might be, you can count us to find and fix the issue. The opener is the part of your system that uses electrical energy to start the process of moving the door itself. If the opener’s wiring burns out, its motor jams, or its remote control receptor becomes unresponsive, your door will no longer be able to open on command. Our technicians are familiar with openers made by all the major manufacturers. While the opener is what starts the process of opening a garage door, the springs are where the heavy lifting takes place. Garage door springs, as well as the cables that connect them to the door itself in some systems, can be easily damaged, which can cause a dangerous release of energy. If there’s one component of your garage door that you don’t want to poke at yourself, it’s the springs. Get professional assistance if your springs or cables are giving you grief. If one of your door’s components is beyond repair, we can replace it. We maintain a large inventory of spare parts from trusted manufacturers including Liftmaster, Genie, Clopay, and others. If you need a part replaced, we’ll be happy to advise you on replacement options to best suits your needs, system and price range. If we don’t already have what you need in stock, we’ll be happy to order it in for you. Our team is available anywhere within the city limits, seven days a week - we can provide flexible, professional repairs at a reasonable price. Don’t wait for your garage door problems to get worse. Contact us today and tell us what we can do to help you.